Access your iPhone on your Mac. Is there a better alternative to AirMount? Is AirMount really the best app in Productivity category? Will AirMount work good on macOS 10.13.4? AirMount will let you access your iPhone on your Mac. No cloud, no WiFi, just magic! We want to simplify your life with multiple devices. AirMount uses our patent-pending NearNet technology to create an automatic, direct, high-speed wireless connection between nearby devices. 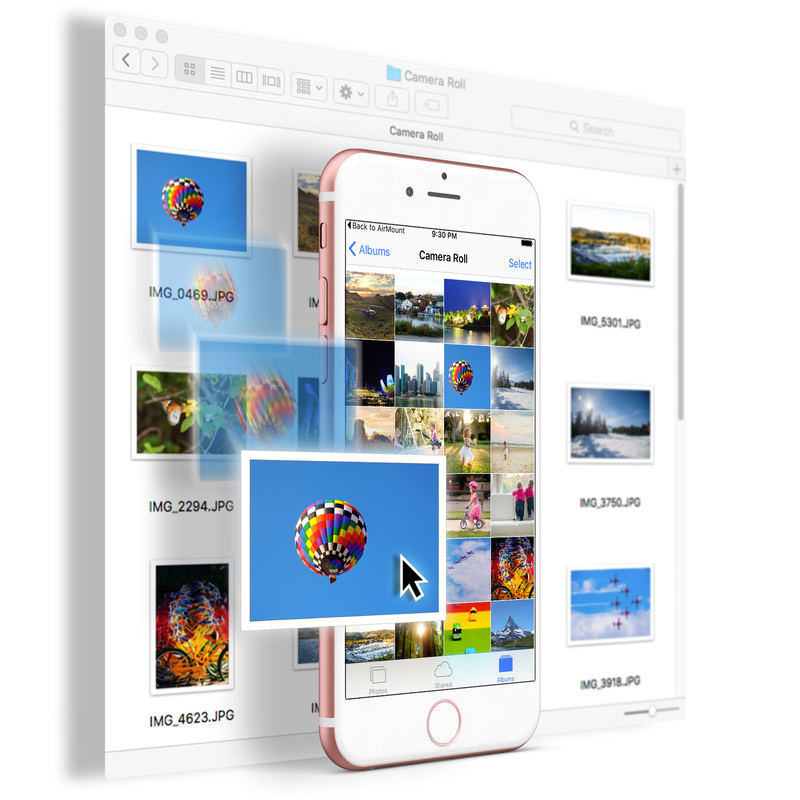 So you can simply drag and drop photos, videos and files between them, even without cloud, internet, WiFi or cable. Access the latest 25 photos in a smart folder on your Mac, or the entire camera roll. Note: Now requires OS X 10.10 or later. AirMount needs a rating. Be the first to rate this app and get the discussion started! Easily edit, browse, preview, transfer and organize your photos, videos and albums. Drag and drop photos, videos and albums in and out of your iPhone. Edit photos, videos and documents in-place without sending them to your Mac and back. Attach iPhone photos to Mac email and documents using the file chooser. Store and carry email attachments, documents and files in folders on a built-in drive. Archive photo albums on the Mac or a backup drive and reclaim storage space on your iPhone. Simple, fast and easy. The ultimate in privacy.